The global urban population is predicted to rise to 67% by 2050. But even though human beings had left the jungle, the jungle did not leave us. Natural sounds have the ability to relieve psychological and physiological stress. Using fMRI and heart-rate monitoring, researchers found that listening to natural sounds improved parasympathetic activity, whereas listening to artificial sounds prompted sympathetic arousal. This means listening to natural sounds promotes rest and digestion. When Cale Holmes moved from Virginia to New York City for grad school, he started to have trouble sleeping. All night long the trains thundered past his building, garbage trucks groaned, and police sirens wailed. In the mornings he was awoken by the sounds of construction: hammers banging, machines drilling, men shouting. He began to wear himself out every night before he got home, studying into the wee hours of the morning or hanging in bars drinking beer until he was ready to drop with exhaustion. But one night, Holmes recalled how calm he used to feel whenever he visited a beach. He went to YouTube and ran a search for ocean sounds. Innumerable recordings of ocean waves popped up, some as long as 12 or 14 hours. He selected a nighttime version and let his room fill with the sound of the crashing of waves. He could also hear the wind howl and the cicadas chirp in the distance. He lay back on his pillow. The next thing he knew, warm sunlight was filtering in through the curtains. When he checked his laptop, he saw that the recording had paused at just after four minutes when the laptop had powered off. How had the recording helped him so much? Was it that the sound had created a cocoon against the city noises? Or was there more to it? Several teams of researchers around the world have tried to find answers to these very questions. Jake Benfield, soundscape researcher and professor of Environmental Psychology at Penn State University, has been studying nature sounds for over a decade. “There is a lot of research that shows that natural views and our visual perception of the environment is good for us, but there is less research about sound,” Benfield told me. The researchers then randomly assigned the volunteers to three groups and made them listen to different soundscapes. One group was made to listen to city sounds and traffic. Members of this group reported that their moods became worse. Another group listened to mixed environments containing nature and city sounds, and this group reported no significant mood changes. The third group, however, listened to purely natural sounds—like the sound of the wind rustling through trees or the chirping of birds. Participants in this group reported a complete mood recovery. Several other studies conducted in recent years have shown similar results. At Shahed University in Tehran, Iran, a group of researchers found that listening to natural sounds relieved patients in the ICU of their anxiety, while lowering their heart rate and blood pressure. Researchers in Japan’s Osaka City University Medical School found that patients listening to natural sounds showed an improved acceptability to anesthesia, while Johns Hopkins University in Baltimore reported that distraction therapy using nature sounds reduced the amount of pain people experienced during bronchoscopies. Was there something about the particular frequency of these sounds that caused such a remarkable effect on people’s physiological states? To find out, Benfield explained, researchers at University of Gavle, Sweden, undertook an experiment. They designed an ambiguous, fuzzy sound, which wasn’t entirely discernible, and hence open to interpretation. The researchers then enlisted participants and told half of them that the sound was that of a waterfall while telling the others that it was from an industrial source. What they discovered was that the first group, the one that had thought that the sound was that of running water, showed remarkable mood recovery. On the other hand, the second group that had assumed the sound was unnatural, reported no mood recovery. Why was it so important, then, for participants to think that they were listening to the sound of water to feel better? As life evolved on Earth, living beings developed different sensory organs to guide them toward food, alert them to danger, and find their way around the world. Without these senses, we couldn’t have survived. But sometimes, these very senses can cause our minds to get over-stimulated. When there’s too much noise, for example, it can be really distressing, but we usually can’t just turn off our hearing. From an evolutionary standpoint, this is beneficial to us. If there’s some danger in our environment, we can act accordingly (or wake up, if we happen to be asleep). Sudden sounds jolt us into action, get our hearts pumping, and the adrenaline and cortisol soaring in our bodies so as to prepare us for fight or flight. But living in a stream of constant, jarring noises can be highly toxic. One of the biggest problems with urban soundscapes, according to Benfield, is that people think they’ve adjusted to them. “There’s a lot of research showing that the physiological effects of these things‚ sleep disturbances, higher cortisol levels, affect people’s health and cause psychological problems,” he told me. Several studies have pinned mood disorders, anxiety, depression, and even schizophrenia on urban living. Over 82 percent of North Americans live in urban centers, according to a report published by the United Nations in 2014. The global urban population is escalating at an unprecedented rate, creating packed urban conglomerations. Thirty percent of the global population lived in cities in 1950, but this number is predicted to rise to 67 percent by 2050, growing by more than 100 percent in a century, according to the report. Throughout the course of human evolution, people developed capacities to thrive in natural settings. On the entire span of our evolutionary timeline, urban living is but a mere speck of dust. Although urban living has brought with it many conveniences like access to safety, public health, and other services, it has also created devastating consequences to our physical and mental wellbeing. But now, the latest research findings show that natural sound can actually help us recover. A study published in March demonstrated that natural sounds have the ability to relieve psychological and physiological stress. Using fMRI and heart-rate monitoring, researchers Gould van Praag, et al, of the University of Sussex found that listening to natural sounds improved parasympathetic activity, whereas listening to artificial sounds prompted sympathetic arousal. This means that listening to natural sounds promotes our rest and digest state, hence decreasing stress, while listening to artificial sounds promotes the fight or flight response, thereby increasing stress. To understand why this happens, we have to start at the beginning. Nearly 1.5 million years ago, our ancestors picked ripe fruit right off of trees and made love in the mud beneath the canopies. They hiked in groups until they hit the sound of rivers or streams, and settled down with their babies to partake of the fruit of the fertile riverside. The lives of our ancestors were so intertwined with nature that most ancient myths and folklore revolved around nature. In those early stages of evolution, certain environments meant survival for the species, Benfield explained. 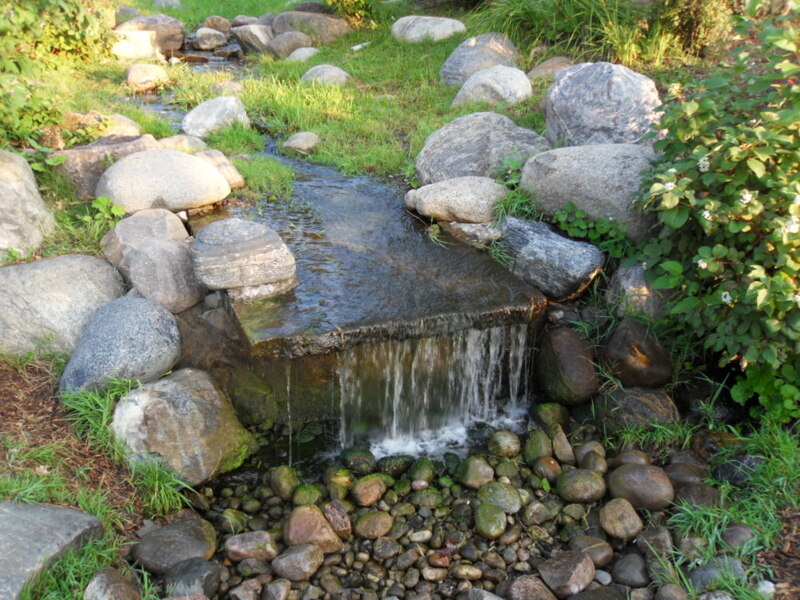 For example, the sounds of rivers, streams, or running water “meant that you would have a chance to survive, by drinking clean, disease free water.” Not only that, but clean water in the environment meant that fruits, nuts and berries would be present too, along with all kinds of animals and biodiversity. Furthermore, an environment bustling with the twittering of birds signified that the area was free of predators. This meant that people could let down their guard and relax. Perhaps this is why birdsong sounds so sweet to the human ear; perhaps this is the reason songbirds have played such a frequent muse to poets writing verse throughout the centuries. But the advent of agriculture brought significant changes to the environment. Around 10,000 years ago, people started to clear forests in order to plant wheat, rye, and sugar cane. By the early 18th century, the first factory workers had begun to arrive in the industrial towns of London and Massachusetts to work in cotton mills and other factories, sparking off the earliest urban migrations. Now, cities have become the mainstay of civilization. But even though human beings had left the jungle, the jungle did not leave us. Artists painted breathtaking scenes of forests, meadows, rivers and seas. Poets wrote odes to the glories of sunsets and summers. And with the arrival of the earliest portable field recording technology in the mid-twentieth century, people started to go back into nature to bottle up its sounds and bring them back into our living rooms. One of the acclaimed pioneers in nature sound recording was Irv Teibel, a New York based sound engineer, photographer, and designer. In 1969, Teibel went to Brighton Beach in Brooklyn to capture the sound of the ocean. “He noticed that the particular recording had qualities that made him feel at ease,” said Jennifer Ballow, his daughter, who took over the management of Teibel’s company, Syntonic Research, after Teibel’s death in 2010. When Teibel first started working on his albums, his friends were skeptical. Later years witnessed the resurgence of nature sounds into our homes in the form of sound boxes and baby soothers. Clearly, people were yearning for nature. Nowadays, the audience of nature sound listeners has exploded through mediums like YouTube websites like A Soft Murmur, Meditation Room, and Calm Sound, among several others. Thousands of recordings of nature sounds coexist on YouTube. There’s rain, thunder, wind, waterfalls, rivers, springs, waves, and oceans. There are birds, frogs, wolves, and cicadas. Comments from users range from expressions of gratitude (“Thank you for helping me sleep”, to anecdotes about improved concentration (“Studying to this is incredible. Never been more productive”), to how well babies sleep (“This puts my sick baby to sleep in minutes”). Scores of individual recordings have amassed views in the tens of millions. For example, “Rain Sounds 10 Hours” has been played over 32 million times on YouTube since its release five years ago. “Calming Seas” has collected over 22 million views in the last four years. For context, John Lennon’s Imagine HD has been viewed 61 million times in the last eight years. “It’s almost as if the experience of users was driving a market without there necessarily being evidence of whether it was helpful or not,” said Benfield. Priyanka Borar, a designer and researcher from India, told me about how she began listening to sounds of the rain or birds through a website called A Soft Murmur. When she was in college, she used to sit in a park every evening to take a break from the day. “And that’s the time you’d have a lot of birds in the sky,” she told me. “And that soundscape used to make me feel very, very peaceful.” Whereas music had seemed to be emotionally distracting (infused as it was with moods, like darkness or ponderousness,) she felt that the sound of the natural environment was immensely grounding. “I could keep reading in an undistracted fashion,” she said. Take a spoonful of ocean waves. Add a pinch of wind and a dash of cicadas. Set the volume according to taste. Let the sounds swirl around your room and soak into your skin. Now sit back, close your eyes, and let your mind relax.